Welcome to Neatsmart! Be one of the first to sign up for our posts which are guaranteed to bring joy, peace, intelligence, and humor to your day. Ok, maybe that was a little too much to promise but I do hope you’ll “like” us or follow us. 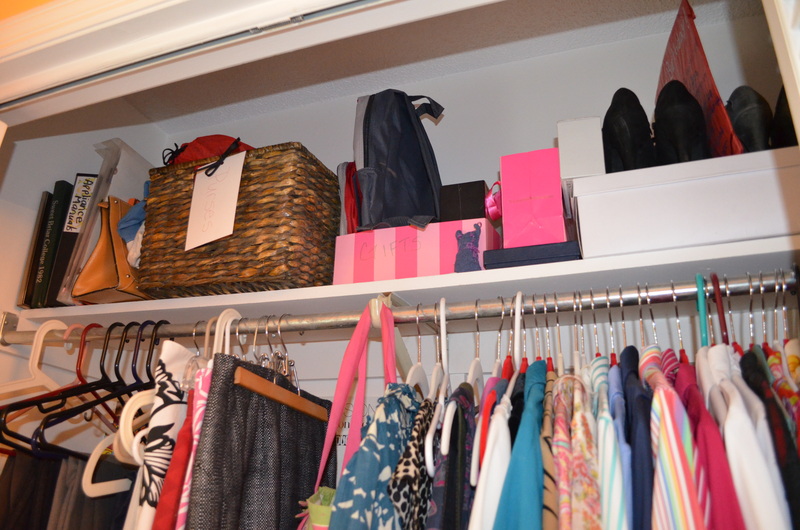 So here is the neatsmart organization tip of the day: get rid of the dry cleaners hangers and bags in your closet! They are designed to protect your clothes en route from the cleaners to your home, not for long term storage! First off, the wire hangers (one of my personal pet peeves, just like Joan Crawford) add creases to the shoulders of your shirts and knee area of your trousers. Invest in some padded or wooden hangers and switch your clothes to your hangers when you get home. The bags themselves do not allow your clothes to “breathe” which they need to do to last longer. If you have clothes that need to be protected such as formal wear, beaded items, or something you won’t be wearing for a while, get some fabric storage bags and your clothes will thank you later. The plastic bags and metal hangers can be recycled at your dry cleaner when you take your next load back. Ikea has some great wooden hangers I’ve used and I’ve also found some skinny padded ones at HomeGoods or Marshalls. You can’t go wrong with Container Store hangers but they can be pricier.